Husqvarna rolled out a nifty new concept bike today at the big international motorcycle exhibition in Milano, Italy. The prototype is called MOAB, as in the Utah desert, and fans of On Any Sunday will surely recognize the distinctive Husky color scheme. The distinctive red and silver tank brought back memories of Malcolm Smith and Steve McQueen riding their Swedish racers around, through and over impossible obstacles. The MOAB can trace its origins to Husqvarna dirt bikes of the Sixties and Seventies, legendary motorcycles that are milestones in the history of off-road biking. 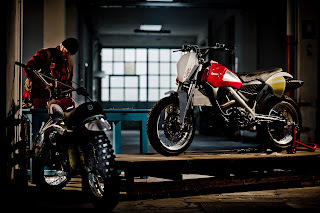 The styling is stripped-down, retro, streetfighter and fits nicely into the growing Motard category- dirt bikes fitted with sticky rubber for asphalt antics. The Husqvarna Concept MOAB has a 650cc engine mounted in a perimeter frame. The wheels are 17" and shod with semi-knobby tires. 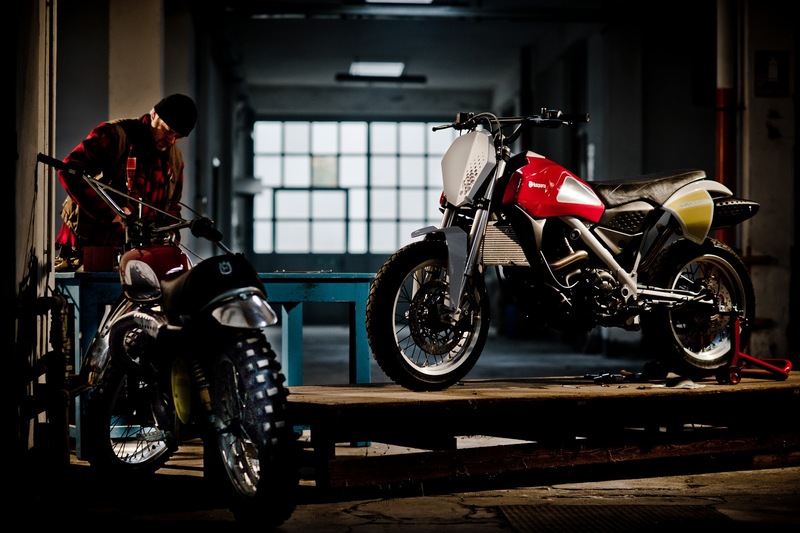 No word from BMW Motorrad (owners of this latest iteration of Husqvarna motorcycles) on production possibilities. So we don't know yet whether one of these will be showing up at a dealer near. The company's press release notes, "The end result is a cool bike, ideal for use both in the city and on dirt tracks, which is easy to ride and handle, even for female biking fans." Awesome. Sounds like they may have the corner on the lady's flat track demographic? But I'd wager this concept bike goes a lot further than just the show circuit. When I was 13 I had a WR420 Husky. It hauled, great low end . I have too many bikes now, but the concept has me scheming already.